Ryburn Place has original items from local artists and fun Route 66 stuff. Sprague's Super Service is back to its former glory. Terri Ryburn, proprietor of Ryburn Place, shows some of the handmade items for sale. Kathi Davis discovers some unique Route 66 items at Ryburn Place. 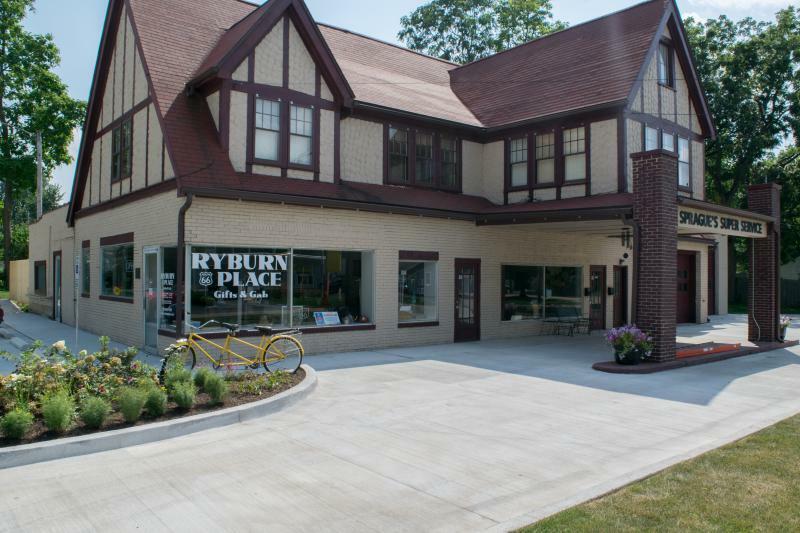 Ryrun Place is in the fully restored Sprague's Super Service building on Pine Street in Normal. 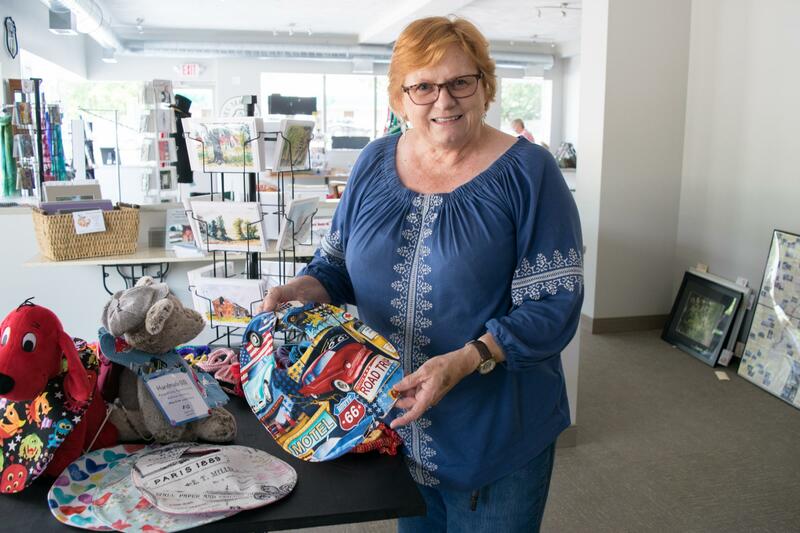 What was once a stopping place on the Mother Road has found new life, thanks to a partnership between a local Route 66 scholar and the Town of Normal. At the height of the depression, Sprague’s Super Service on Route 66 in Normal opened for business as a service station, restaurant and garage. Decades later, the interstate drew traffic away from the Mother Road and the business floundered. For a while, the building housed a bridal shop before eventually sitting empty, the years and weather taking their toll on one of the few remaining vintage two-story service stations on Route 66. Enter Terri Ryburn, a lifelong Route 66 fan and scholar of the Mother Road. She moved in, taking on the awesome project of restoring the historic building. Then last year, Ryburn sold the station to the Town of Normal. 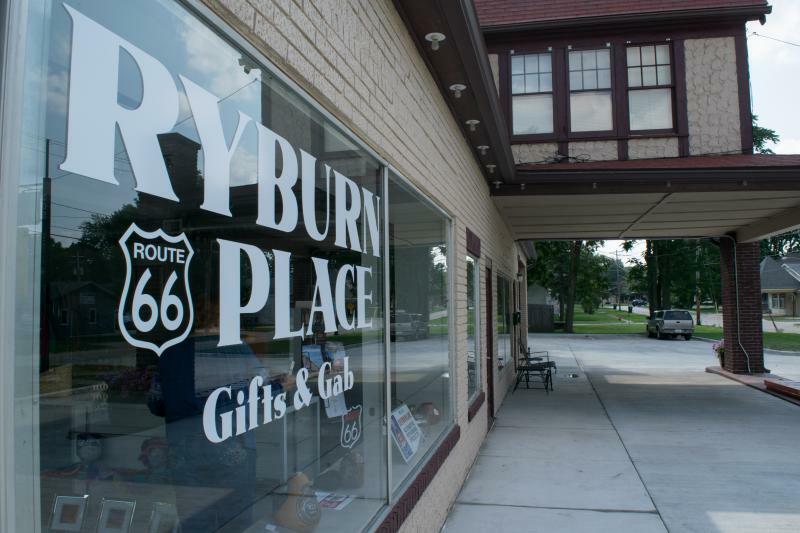 Ryburn will continue to be a part of Sprague Super Service as the proprietor of Ryburn Place, a shop specializing in Route 66 items—some of which are exclusive to the site—plus works from local artists. The Town of Normal’s investment in the historic building is an investment in the growing Route 66 tourism trade, according to town spokesperson Dan Irvin. 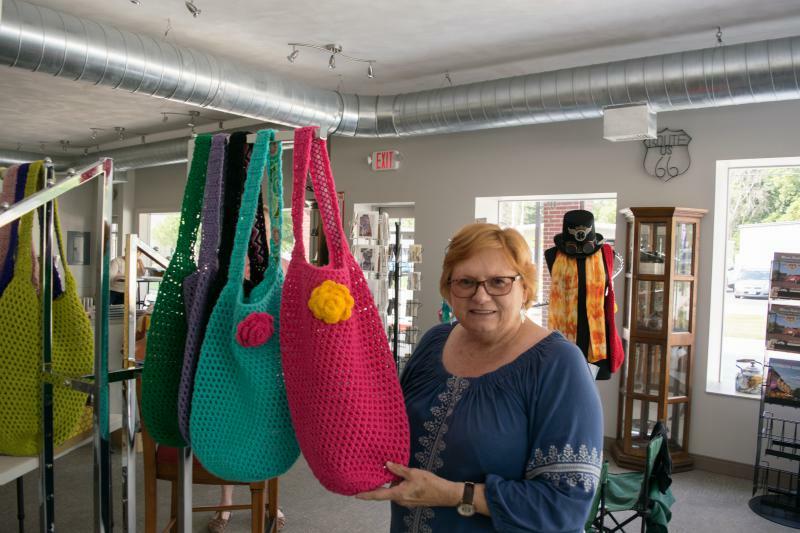 “The more that we can add to the attractiveness of Bloomington-Normal as a Route 66 destination, the more opportunity we have for people, at least, to lunch and shop here. At best, to spend the night here." The grand opening of Sprague’s Super Service is Saturday, Aug. 12. from 6 to 9 p.m. Mayor Chris Koos will attend the ribbon cutting. An excerpt from GLT's interview with Terry Ryburn and Dan Irvin. GLT's full interview with Terry Ryburn and Dan Irvin. The Normal Town Council approved $606,000 to renovate the former Sprague's Super Service fuel station along Route 66. Former Illinois State University professor and Route 66 Scholar Terri Ryburn, who is selling the building to the town, said she'll be happy to see this property develop. A fuel station first built in the 1930’s along Route 66 in Normal could be fully restored by the town. The Normal Town Council will consider whether to spend $606,000 to purchase the property, make improvements to the building, and replace the parking lot.